History: A shohin sized tree at under 23cm in height. This tree had originally been owned by Sharon Green, a club member who sadly passed away in 2014. 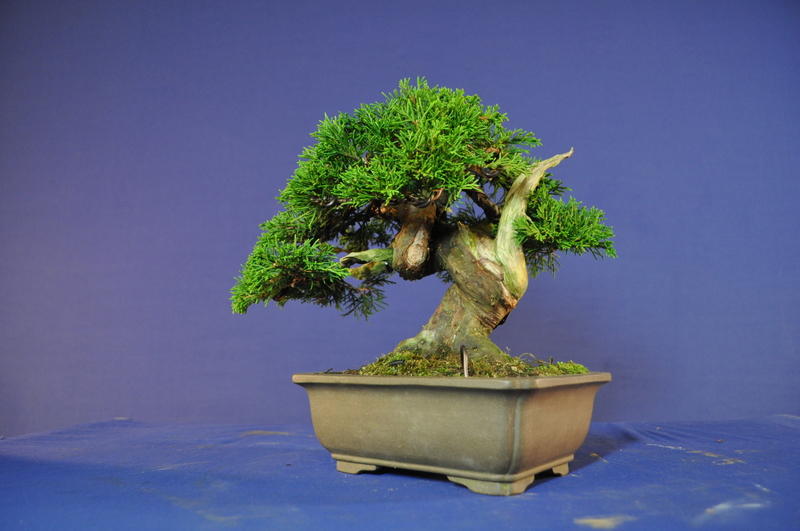 Alan bought the tree from her amazing collection and has further refined the image. 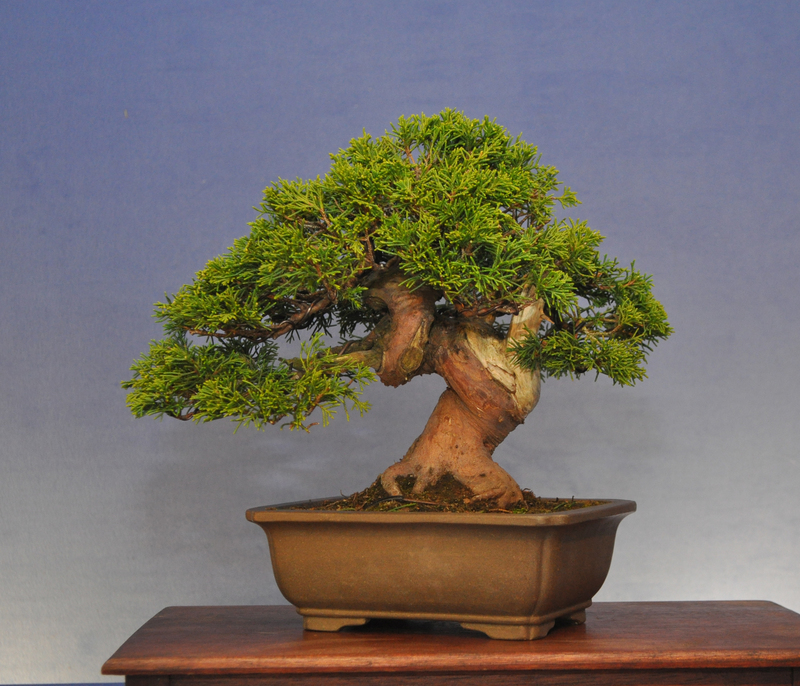 The tree will have originated in Japan and made it’s way into the UK roughly 5 years ago. 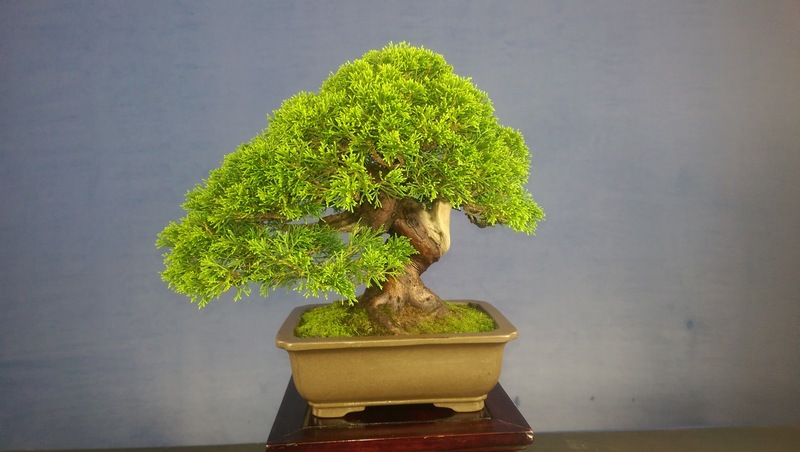 A short powerful trunk and lush compact foliage make this a very beautiful bonsai. The tree was selected for Bonsai30 as it shows how trees can pass from person to person within the club and allows us to show a little of the history of the club and Sharon’s time with us. 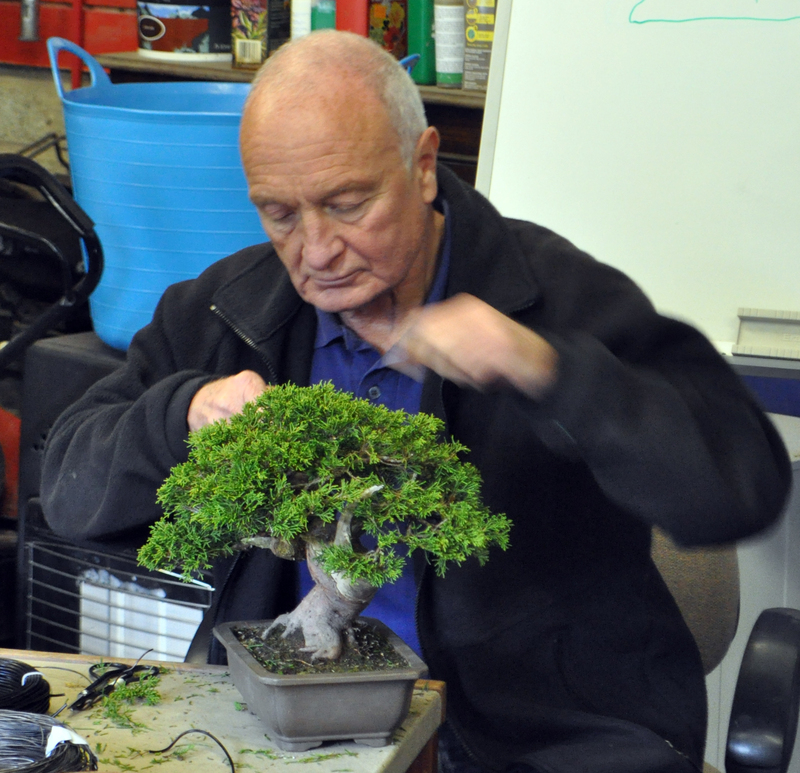 You will see more of Sharon’s bonsai among the exhibits at Bonsai 30. 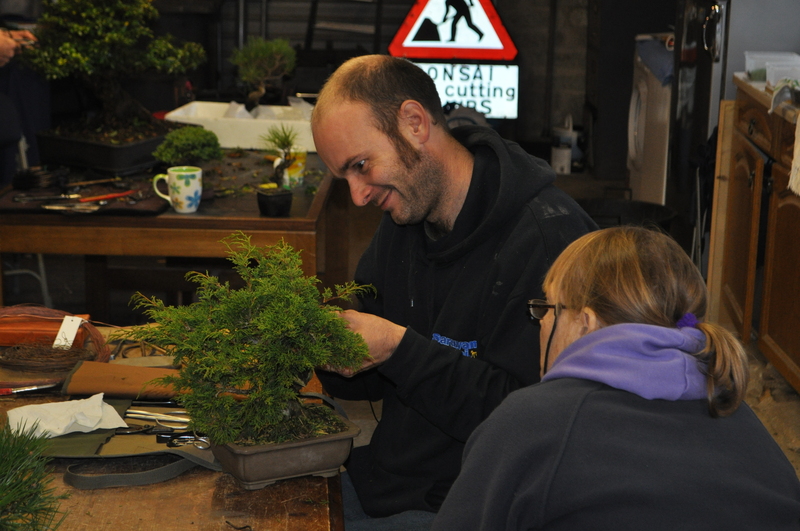 Sharon Green working on the tree with Peter Warren during a club workshop back in 2013. Alan in another Peter Warren Workshop, this time in 2015.